I have said it once and I will say it once more, documentaries are hard to critique. You can’t review the acting, unless it’s a mockumentary, because we are dealing with real people from real situations. You basically review it on interest, length and if it was overall put together well. As a non-fan of Amy Winehouse, this movie was good in certain parts but not so much in other parts. This will be one of the shortest reviews I have ever done. Why? This film is straight to the point. This is a film about Amy Winehouse and how she began her music career, her addiction to drugs and alcohol, and how the addiction took her career and, eventually, her life. The shocking thing about Amy is that she was very young and her career was just starting. I didn’t know much about her life and I had only listened to a couple of tracks from her. With that said, I think the director didn’t really give us anything interesting about Amy. It was basically a bunch of home videos showing us her life. I know it’s bad to say, but there was nothing interesting or new that I didn’t already vaguely know before. 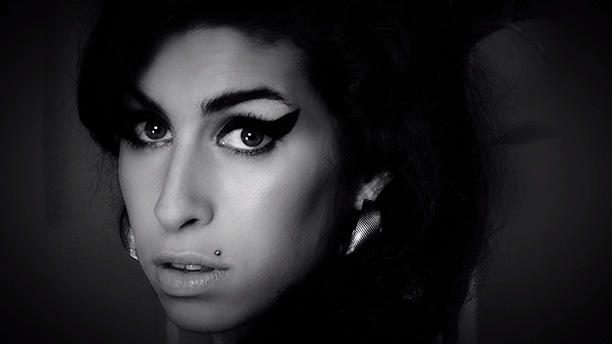 This is first and foremost, an Amy Winehouse fan documentary. But to non-fans, such as myself, I found it rather boring. There were some shots of beautiful, establishing cinematography, the score was strikingly great and some of her songs I had never heard before were authentic and rich. The biggest complaint I have is that it is too long. It needs to be chopped down by twenty minutes. On the other hand, if you are fan, you probably won’t even feel it drag. I know it looks like I am putting this movie down; but, in fact, I think it’s a good documentary. Coming from a non-fan, I just found it boring and too long. No one should ever have to go through addiction and it is very frightening to see someone else go through it. You want to help them. The thing with Amy’s friends and family is that they didn’t try enough to try and save this tortured, dark soul. I have no doubt, if Amy was alive today, she would be even more famous than she ever was. When listening to the songs I haven’t heard of in the movie, I realized she did have a great voice and something pretty unique musically and vocally.